Compare prices from several car hire companies in Cordoba and find the best price for car rental. Our prices always include unlimited mileage and insurance. 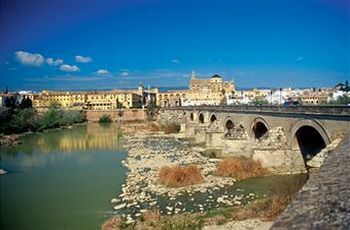 Córdoba is centrally located in northern region of Andalusia which is located in southern Spain. The city has a population of just over 300 000 (2008). Cordoba is one of the oldest cities in the country and was probably founded by the Phoenicians, who ruled the area from ca. B. 1100 NOK This was also one of the largest cities in the Middle Ages, and the historic district includes buildings from around year 700 – 1000 La Mezquita mosque was built between 700 – 900 and was converted into a cathedral in the 1200s. In addition to the historic district you can visit one of the city’s museums, parks and Roman buildings. The nearest international airport is Seville – San Pablo Airport, located approx. 130 km southwest of Córdoba.